Why hindu people put Tilak on the forehead? Without the worship of Sri Ganesh no work in Sanatan Dharma should begin. Likewise,no religious work should begin without a Tilak on the forehead.Chandan or sandalpaste,Roli,Kumkum,Sindoor and Sacred Ash or Vibhuti can also be used as Tilak.Tilak is a mark of auspiciousness. It is put on the forehead with sandal paste, sacred ashes or kumkum (red tumeric). The devotees of Siva apply sacred ashes (Bhasma) on the forehead, the devotees of Vishnu apply sandal paste (Chandan), and the worshippers of Devi or Shakti apply Kumkum, a red tumeric powder. From this you can imagine the importance of Tilak or the sacred mark. Tilak is applied at the Ajna Chakra, the space between the two eyebrows. It has a very cooling effect. Application of sandal paste has great medicinal value, apart from the spiritual influence. Application of sandal paste will nullify the heating effect when you concentrate and meditate at the Bhrumadhya. 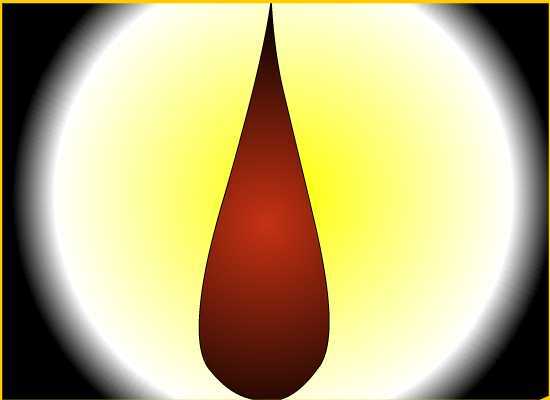 Tilak indicates the point at which the spiritual eye opens. Lord Siva has a third eye at the Brumadhya. When he opens the third eye, the three worlds are destroyed. So also, when the third eye of the Jiva is opened, the three kinds of afflictions – Adhyatmika, Adhidaivika and Adhibhautika- are burnt to ashes. The three Karmas- Sanchita, Prarabdha and Agami,- and also all the sins committed in the countless previous births, are burnt. When you apply the Tilak, you mentally imagine: “I am the one non-dual Brahman free from all duality. May my eye of intuition open soon.” You should remember this every time you apply a Tilak. Some Vaishnavas apply only one vertical line. Only the method of application differs, but the significance is the same in both the Vaishnavas and the Saivas. The Tilak is used in various ways for different reasons. Without the Tilak,Sandhya,Pooja,Deva Darshan,Tarpan and other religious activities should not be performed. There are thirteen places on the human body where Tilak can be placed.However it is only on the forehead that it is noble.The head is the summit of the body with the brain being the axis of the entire body. According to Hindu Astrology,Mesh Rasi or the House of Aries is on the forehead.The Lord of Mesh is Mars and His colour is Red.This is why Red Chandan and Sindoor is placed as Tilak on the forehead. At the base of the little finger is Mecury,at the base of the ring-finger is Sun,at the base of the middle finger is Saturn,at the base of the index finger is Jupiter and at the base of the thumb is Venus. Perfect peace is experienced at Sunrise,Saturn is the protector of lifespan,Jupiter represents immortality and Venus represents health.Tilak applied with the ring-finger and the thumb is very benifical. In addition to this,the Sun represents firmness,brilliance,honour,respect and faith.These are the blessings achieved by applying Tilak with the ring-finger.Venus gives lifeforce,health,is the creator of new life,the bestower of gentility and politeness.This is achieved by applying Tilak with the thumb. Women should use the ring-finger for applying Bindie with unbroken rice grains. Men should also use unbroken rice grains(Akshat)mixed in red chandan and apply the Tilak with the thumb. The unbroken rice grains symbolises steadfastness and firmness of the brain and is also a symbol of peace. It is reffered to as Deva Dhanya—-grains of the Gods.